We all thought that Kiera was done with The Selection series after The One, however she had other plans. This book follows Eadlyn, Maxon and America’s older twin daughter, as she goes through the selection process herself as she tries to choose a prince. Below is the Goodreads summary and beneth that is spoiler city, so don’t read the rest of the review if you haven’t read the book. The Selection series was kind of a guilty pleasure read for me. They weren’t the best books and they were extremely cheesy, but I still enjoyed reading them. Personally, I don’t think it was necessary to add on to this series; however, I was able to read a cute story, so I was fine with it. There are many likable aspects of this story just as there are unlikable aspects. I enjoyed the characters, but Eadlyn and I have a love/hate relationship. While it’s admirable that she recognizes she deosn’t need a man, it got really annoying hearing her complaining the entire time. She is so shocked that the people of Illea don’t like her, but in reality it’s totally believable. I did find that she got a bit better as she went through the selection, and grew closer to some of the boys, but for the most part she annoyed me. My two favorite characters were Kile and Henri. These two are both adorable in their own ways, and I loved all their moments alone with the princess. For the rest of the selected, there are a few okay ones, but most of them are just straight up creeps. I actually really liked the fight scenes, because we saw how protective Maxon is over his daughter. Also, America and Maxon are just cute parents. I feel like I would have enjoyed this book much more if Eadlyn’s attitude changed quicker. America, for example, didn’t want to do the selection, but at least there was a steady development as she started liking Maxon. Eadlyn’s mind was set on her being the most powerful (she was very egotistical)and not needing anyone to help her rule. There were exceptions to these times of course. In the end, after pages upon pages of complaining, she finally realizes that she wants to finish the selection with a ring on her finger. Of course, when this realization was stated, it shocked me as there was no former evidence to her having many thoughts like that. One more thing, and I’ll stop ranting about Eadlyn. She is so manipulative. I mean she tried to break up Ahren and his girlfriends when they were literally *perfect*. I loved the twins’ relationship with one another and their closeness, but you don’t meddle with your twin’s love life like that. Eadlyn didn’t care what Ahren would feel, she just wanted to keep her in the palace with her. This lead the Ahren eloping which caused America to have a heart attack. I SWEAR IF AMERICA DIES WHEN HER STORY IS ALREADY OVER I AM GOING TO BE VERY MAD. Overall, this was an okay read. I still like the idea of the selection and it’s enjoyable enough to sit down and read it. Mostly all the scenes with Kile or Henri were my favorite. Don’t go into this expecting to fall in love with the main character, because you most definitely won’t. If you hated reading from America’s point of view, just wait until you meet her daughter. I am however exicted to see this new and improved Eadlyn in the following book. It’ll be interseting to see if my opinions of her change once she actually starts trying at the selection. Nice and easy read that doesn’t involve to much thought. That was quite the hiatus, wasn’t it? At least it was planned, and I didn’t just randomly leave for 2+ weeks. The end of May is always extremely busy, and I knew it was going to be impossible to sit down and write quality posts. However, the busy time is over, and now I am back and ready! 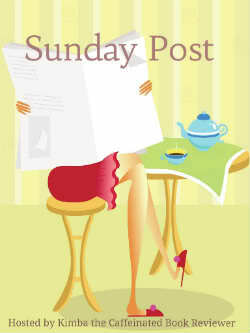 I loved it when I had all kinds of posts prepared and was able to post several times throughout the week. It was so much fun and I look forward to doing that more this summer. I got on the other day to look at my tbr, and I have realized how old it is. Literally half of the books on there no longer interested me. I’m not sure how I’m going to clean it up, but it WILL be happening. I think I come up with some pretty good posts, but I want to amp it up a bit. I hope my creativity starts flowing so I can bring some really cool and unique posts to the table. Of course, I will still do the standard posts, but I want something more than that. I am making an unbreakable vow with you guys on this one. Everyone has that book that they want to read because it’s looks amazing, but for some reason they haven’t. For me, this is Throne of Glass. Before you ask, I honestly have no idea what is wrong with me. This may sound weird, but my last few trips to the library haven’t been too successful. I find a couple of books I want to read and check them out. For some reason, I have been returning more unread books than read. I don’t know why, but this summer I really want to read more of the books I acquire. There you have it! Seriously, I am so excited for summer! I am very excited to put more time into this blog and read more. Who knows what good things summer will bring? I’m planning some posts for this week, so watch out for those! Total lack of inspiration lately. I want to get on and post but I have literally had no ideas. Might be seeing some basic posts for a few days, but I’m sure an idea will hit me. I’m going to try and post as much as I can, but the end of May is always a stressful time. This past week has been pretty big for the Shadowhunter TV show. As of right now, they have Jace, Clary, Izzy and Simon all casted. A lot of people seem to be happy with the cast, which is pretty remarkable. I don’t think I have ever seen so many people pleased about a certain cast. Here is what we are looking at right now, and there should be more annoucements coming up. Dominic played Christian in the adaptation of Vampire Academy last year. Many people are excited to see him again and he fits the description fairly well. In my opinion, he is a much better option than Jamie Campell Bower. He’s okay I guess. To me, Robert Sheehan looked exactly how Simon was in my head, so he was like perfect. Alberto matches the description pretty well. She looks like she’s going to be a good Izzy. I’m very excited to see her portray the character. Izzy is such a firey character, and I think it would be hard to find someone perfect for her. however, if you mange to find someone that can portray her, it could be absolutely golden. Ahhhh!! I love this casting the most. 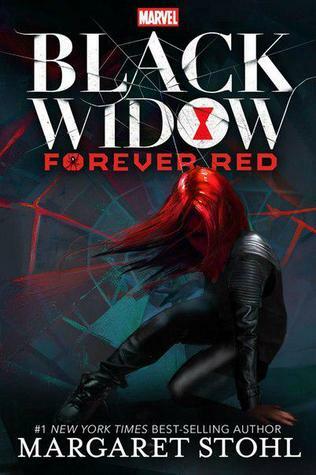 I’ve seen some of the pictures of her with her red hair and she is Clary (well she is for me at least.) Katherine will also be in the upcoming Scorch Trials movie, which is the sequel to The Maze Runner. So what do you think of the cast? 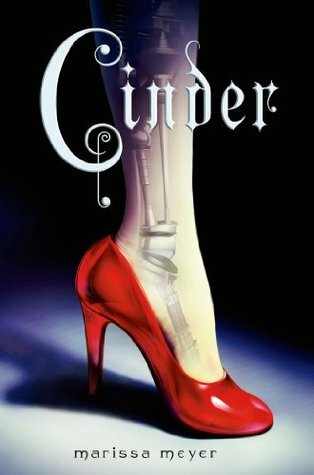 I’m really excited to see this series become a show, because I think it may open up a whole new world of book adaptations for us! I have a real passion for book to movie adaptations. They are always a real toss-up, and it is hard to tell how the movie will turn out. One of the best things is reading a book and finding the differences in the movie and trying to figure out why something was changed. When a book is in the prospects for becoming a movie, I always try to read that book just so I can experience it in two different forms. Of course there are always the epic-fail movies (cough cough Percy Jackson) but then there are gems such as Catching Fire and the Deathly Hallows Part 1 and 2. There are many great movies based on books, but I believe there are a few books missing on the list of adaptations. I know not all books can be movies or rather shouldn’t be movies, but there are some that would be absolutely phenomenal. I have said this time and time again. This series would be so amazing translated on-screen. Movies would be great, but I really think these books could shine as a tv show. There are four main books as well as the Fairest Novella. By being a tv show, they could really delve into the story line more and give us more backstories. I know Once Upon a Time is already a fairy tale show, but I don’t care. Either a movie or a tv show for this series would make me incredibly happy. 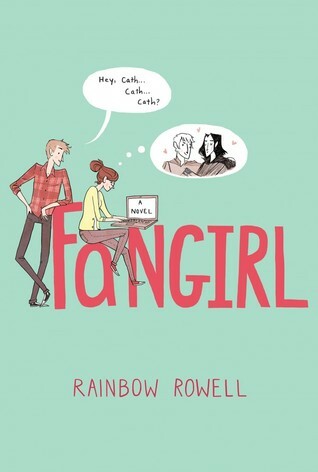 Every time I think of Fangirl as a movie I get so excited. I can just see how it could be translated on-screen. The movie Speak is kind of how I would like Fangirl to be translated as a movie. It wouldn’t be made by the huge franchises and it would have a different feel to it rather than other ya contemporary movies out there. This is a possibility guys, I mean they picked up Eleanor and Park. If that movie does well, they will probably adapt more Rainbow Rowell books. This actually may be in the process of being picked up as a movie, but I haven’t seen much of anything about it. I believe these books would be so great as movies. It would be great to see the powers shown on screen and all of the kids. 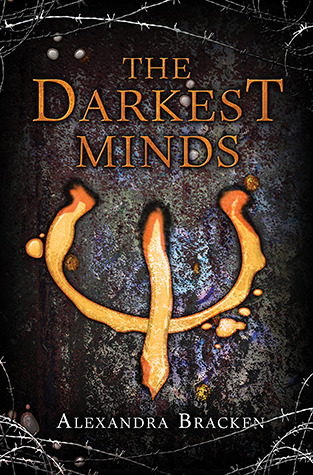 This apocalyptic book has the action, science fiction and romance aspects that could add up to a great movie. I read these books long ago, but I really enjoyed them. They are different from other ya books and that is something I really appreciate. These books are very unique and show the perspective of the “bad guys.” I think the mystery and tone of this book would be shown great as a movie. I know they are making the Shadowhunter tv show, but I’m not sure how far they are going to stretch it. 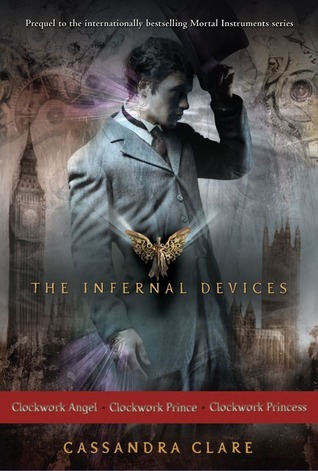 I am one of those people who didn’t really like Mortal Instruments, but really loved The Infernal Devices. I love the time period it’s set in and I think it would be awesome to see that on a screen. This would be an awesome TV show, even if it wasn’t by itself. I think they could do The Mortal Instruments and this together, since they are tied together. So what you do you guys think? Agree or disagree? What movies would you add to this list? Hey guys, long time no post! Some of you may have seen my last post that explained how I would be gone fro a week to a week and a half. Everything has kind of calmed down now, so I’m back to posting! I was definitely thinking about Find Me in the Library while I was gone, but I knew it would be hard to sit down and write a post this last week. BUt I’m back now, so let’s get to the post! 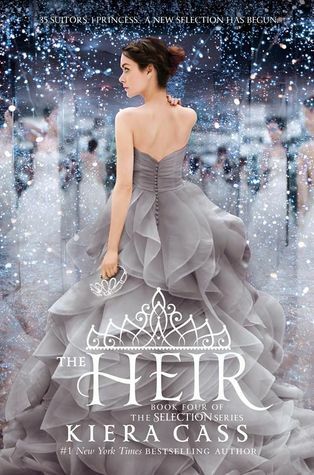 As some of you may know, The Heir by Kiera Cass is coming out in three days! Since Kiera is such an awesome author, she is doing an event where all the fans can unlock chapters at a time so we can go ahead and start reading it. 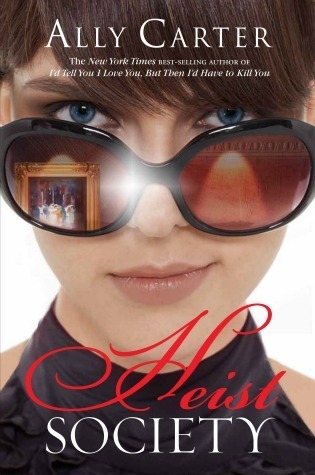 If you visit http://unlocktheheir.com/ you can go and find the first seven chapters of the book. She is going to let us release up to 12 chapters, all we have to do is spread #unlocktheheir. Some of the chapters will be in pdf form where you can read them while others are videos that have the audio. Kiera did this last year with The One, and I absolutely loved it. I know the book is so close already, but this just makes me even more excited because I can start getting into the book. The best feeling is getting on the website and finding another chapter has been released. It really is a great well to build up the excitement while you wait for the book to be released. Go ahead and share the hashtag so we can get the rest of the chapters! Right now, chapter 8 is half way unlocked, and so far I am really enjoying the story.